The camera might be firmly entrenched at the top of the list of essential equipment for photographers and videographers, but a rising contender for next on the list has to be network-attached storage (NAS). A big reason for the popularity of NAS is that it’s one device that can do so many things that are needed in a media management workflow. NAS lets you centralize photo storage, protects your files with backups and data storage virtualization (e.g., RAID), allows you to access files from anywhere, integrates with many media editing apps, and securely shares media with coworkers and clients. And that’s just the beginning of the wide range of capabilities of NAS. It’s not surprising that NAS has become a standard and powerful data management hub serving the media professional. This post is an overview of how NAS can fit into the professional or serious amateur photo and video workflow and some of the benefits you can receive from adding a NAS. Firstly, NAS is a data storage device. It connects to your computer, office, and the internet, and supports loading and retrieving data from multiple computers in both local and remote locations. The number of drives available for data storage is determined by how many bays the NAS has. As larger and faster disk drives become available, a NAS can be upgraded with larger drives to increase capacity, or multiple NAS can be used together. Solid-state drives (SSDs) can be used in a NAS for primary storage or as a cache to speed up data access. NAS can be used for either primary or secondary local data storage. Whichever it is, it’s important to have an off-site backup of that data, as well, to provide redundancy in case of an accident, or in the event of a hardware or software problem. That off-site backup can be drives stored in another location, or more commonly these days, the cloud. (Full disclosure — we’re the providers of a cloud storage service, Backblaze B2). Data is typically stored on the NAS using some form of error checking and virtual storage system, most commonly RAID, to protect the data from accidental loss or hardware failure. However, if NAS is the only backup you have, and a drive fails, it can take quite a while to recover that data from a RAID device, and the delay only gets longer as drives increase in size. An advantage of having a redundant copy in the cloud is that it’s possible to access the files immediately even before the RAID has completed its recovery. If your primary data files are on an editing workstation, the NAS can be your local backup to make sure you keep your originals safe from accidental changes or loss. In some common editing workflows, the raw files are stored on the NAS and lower-resolution, smaller proxies are used for offline editing on the workstation — also called non-destructive or non-linear editing. Once edits are completed, the changes are written back to the NAS. 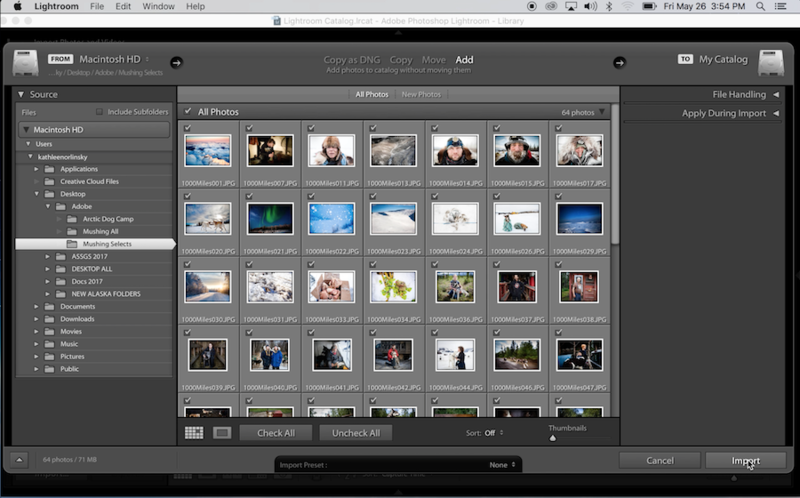 Some applications, including Lightroom, maintain a catalog of files that is separate from the working files and is stored on the editing workstation. This catalog should be routinely backed up locally and remotely to protect it, as well. The data on the NAS also can be protected with automated data backups or snapshots that protect data in case of loss, or to retrieve an earlier version of a file. A particularly effective plan is to schedule off-hours backups to the cloud to complete the off-site component of the recommended 3-2-1 backup strategy. Data can be loaded onto the NAS directly through a USB or SD card slot, if available, or through any device available via the local network or internet. Another possibility is to have a directory/folder on a local computer that automatically syncs any files dropped there to the NAS. Once on the NAS, files can be shared with coworkers, clients, family, and friends. The NAS can be accessed via the internet from anywhere, so you can easily share work in progress or final media presentations. Access can be configured by file, directory/folder, group, or by settings in the particular application you are using. NAS can be set up with a different user and permission structure than your computer(s), making it easy to grant access to particular folders, and keeping the security separate from however local computers are set up. With proper credentials, a wide range of mobile apps or a web browser can be used to access the data on the NAS. It’s common for those using applications such as Adobe Lightroom to keep the original media on the NAS and work on a proxy on the local computer. This speeds up the workflow and protects the original media files. Similarly, for video, most NAS devices are NLE (non-linear editing) compatible, and therefore support using the NAS for source and production media but allow editing without changing the source files. Popular apps that support NLE include Adobe Premiere, Apple Final Cut Pro X, and Avid Media Composer. NAS from Synology, QNAP, FreeNAS/TrueNAS, Morro Data and others offer a wide range of apps that extend the functionality of the device. You can easily turn a NAS into a media server that streams audio and video content to TVs and other devices on your network. You can set up a NAS to automatically perform backups of your computers, or configure that NAS as a file server, a web server, or even a telephone system. 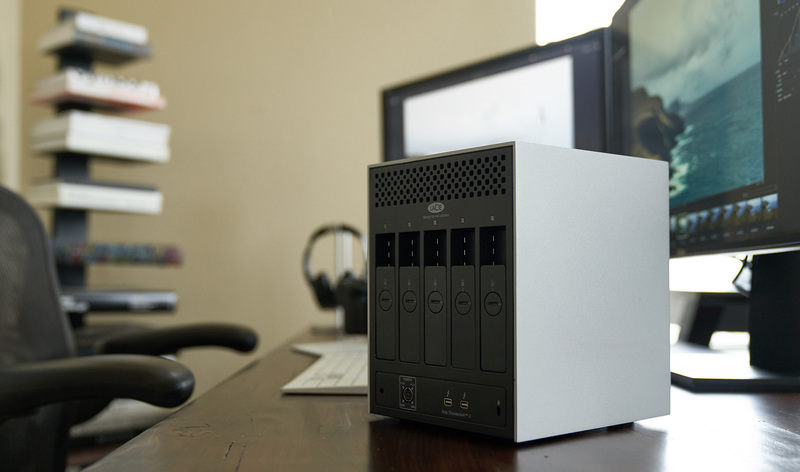 Some home offices and small businesses have even completely replaced office servers with NAS. The following are three examples of how a NAS device can fit into a media production workflow. NAS is a great choice for a home studio that needs additional data storage, file sharing, cloud backup, and secure remote access. NAS is a better choice than using directly-attached storage because it can have separate security than local computers and is accessible both locally and via the internet even when individual workstations might be turned off or disconnected. NAS can provide centralized backup using common backup apps, including Time Machine and ChronoSync on Mac, or Backup and Restore and File History on Windows. To back up to the cloud, major NAS providers, including Synology, QNAP, Morro Data, and FreeNAS/TrueNAS include apps that can automatically back up NAS data to B2 or other destinations on the schedule of your choice. The connectivity of NAS makes it an ideal hub for a distributed business. It provides a central location for files that can be reliably protected with a RAID, backups, and access security, yet available to any authorized staff person no matter where they are located. Professional presentations are easy to do with a range of apps and integrations available for NAS. Clients can be given controlled access to review drafts and final proofs, as well. Many media pros have turned to NAS for storing their ever-growing photos and video data files. Frequently, these users will optimize their workstation for the editing or cataloging application of their choice using fast central and graphics processors, SSD drives, and large amounts of RAM, and offload the data files to the NAS. While Adobe Lightroom requires that its catalog be kept on a local or attached drive, the working files can be stored elsewhere. Some users have adopted the digital negative (DNG) for working files, which avoids having to manage sidecar (XMP) files. XMP files are stored alongside the RAW files and record edits for file formats that don’t support saving that information natively, such as proprietary camera RAW files, including CRW, CR2, NEF, ORF, and so on. 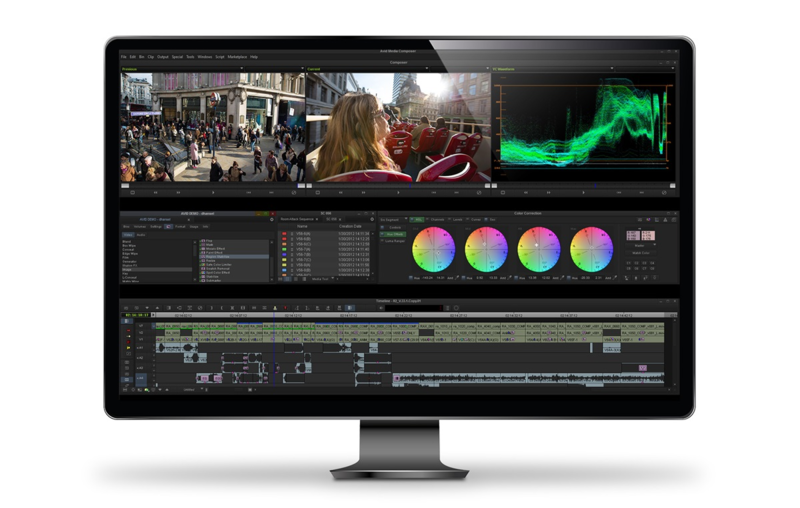 With the right software and hardware, NAS also can play well in a shared video editing environment, enabling centralized storage of data with controlled access, file security, and supporting other functions such as video transcoding. 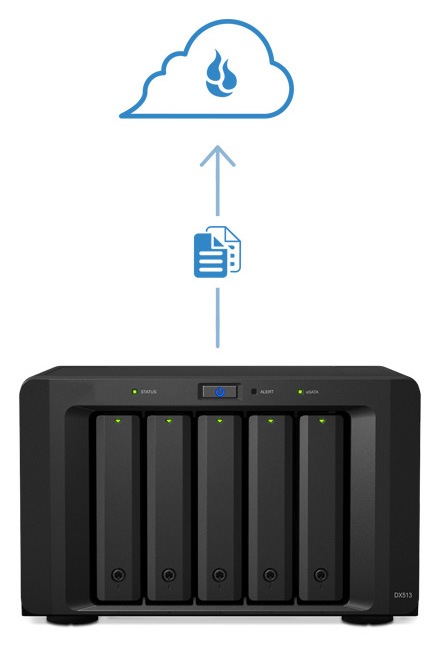 To recap, here are the top five benefits of adding NAS to your media workflow. 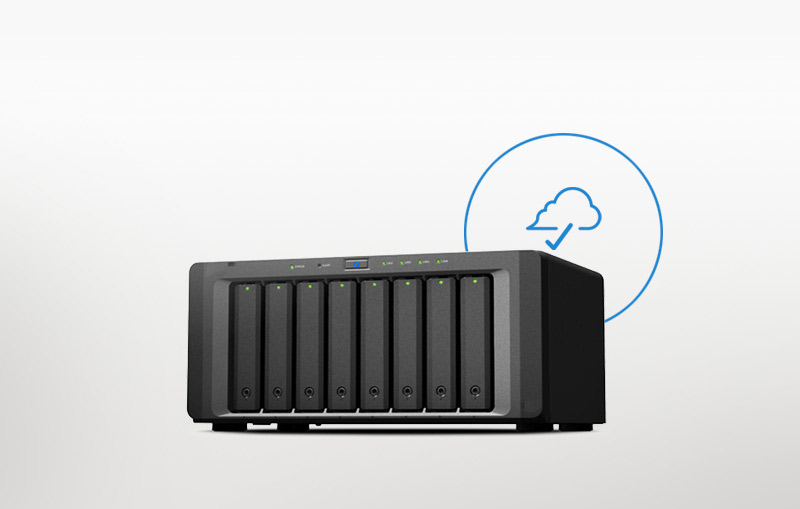 To learn more about what NAS can do for you, take a look at the posts on our blog on specific NAS devices from Synology, QNAP, FreeNAS/TrueNAS, and Morro Data, and about how to use NAS for photo and video storage. You’ll also find more information about how to connect NAS to the cloud. You can quickly find all posts on the NAS topic on our blog by following the NAS tag. Do you have experience using NAS in a photo or video workflow? We’d love to hear about your experiences in the comments. Yeah. I have edited video from my QNAP four-bay in a pinch, but it’s never as fluid as editing from an internal SSD. Agreed, I edit from my Synology via gigabit ethernet and I do not notice any difference with my RAID 5 thunderbolt with 1080 and 2k ProRes. File imports will take longer, though, and definitely keep caches on local storage, but otherwise a great solution. I use a Synology NAS and have it write to Backblaze’s B2 cloud storage solution. This uses different software and service from the personal backup offering (which I’ve used in the past). Pricing is based on the amount stored not flat monthly rate, but it is quite economical for the class of service. Amazon and others offer similar services at varying price points. Picture above says automatic backup to NAS and to backblaze cloud. Buy Baclblaze doesnt offer backup of network attached devices for personal use. What should I do here? 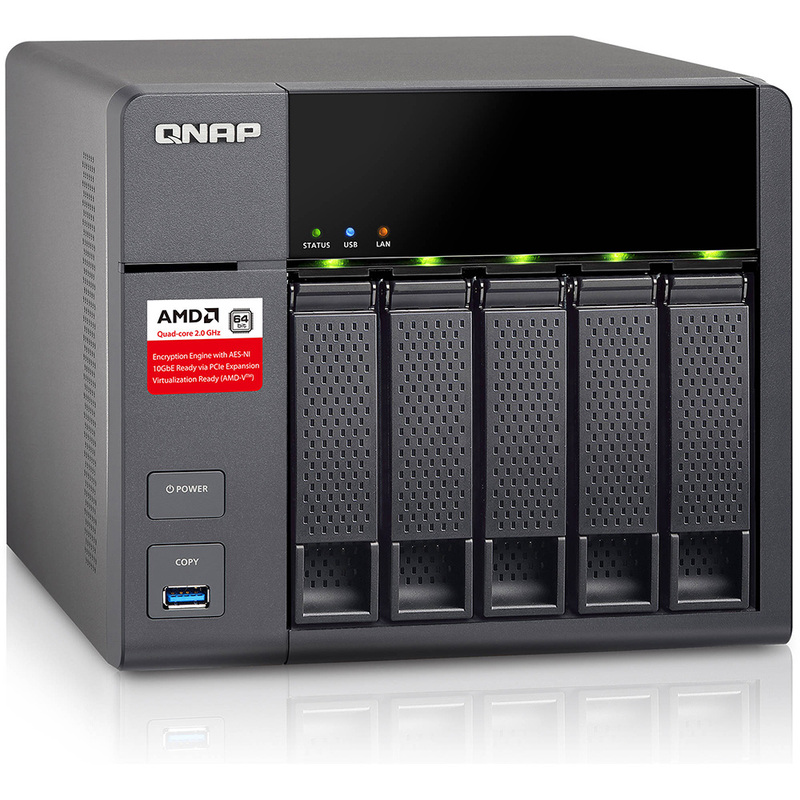 BTW the NAS I use (Qnap) all allow the NAS to be accessed while it’s in degraded mode (i.e. after a drive failure). Also all NAS can be a little techy when stuff goes wrong. For drives reliability is the most important feature. Usually followed by quietness for a lot of home uses. I like NAS optimised drives (WD Red, Seagate IronWolf) although some people say cheaper drives are the same (you usually want different error handling in a NAS drive). I like NAS that are both quiet and low-power, as they are on all day. Also decently fast, although with modern CPUs this isn’t the issue it once was. I’d say don’t allow it to be accessed over the internet (as in sharing a port or ports through your router) as if there’s a security hole in the firmware you could lose a lot. If you want to run an external web server (or whatever) maybe don’t do it on the box with all your important data. Don’t rush to upgrade the firmware, as problems can crop up in new code, so unless the new firmware has a critical fix watch the forums for a few days in case a lot of people start screaming about it (a few people is probably okay, as with a lot of users out there some problems can always crop up). Oh and finally don’t always backup the NAS after every data import. It’s useful to have a backup that’s a little old. That way if you’ve had finger trouble and deleted something accidentally you have a chance it will still be in the backup. (I keep my images/video on my editing PC, so the NAS is a backup and another device is a further backup, they get copied to the NAS promptly but that gets backed up less often). There are other things you can do to help with recovering from accidents, and work to varying degrees. I have an ASUS device with 4x3TB disks in it. I have all my raw images and MOV/AVI files on it and, generally, use it for editing. It’s connected to my workstation through a 1Gbit router and performance is fine. It makes accessing information more convenient and made replacing the workstation much easier since there were few user files on the old one. As a RAID-5 device I feel better about short term loss and then I let the NAS backup to AWS nightly. I actually have a QNAP device connected directly to a cheap 10GbE NIC on my editing workstation. 8 drives in RAID 6 are able to saturate that, so I don’t mess around with an SSD scratch drive or anything for the most part. As stated earlier, Gigabit Ethernet is the bottleneck when you need speed. Even for photo editing. And 10 GbE is still rare and expensive. We (photo studio) use a NAS for archiving and cross computer access to data as well as remote access to files even from Europe. That’s a huge deal for us. For files we’re working on though we will copy them over to the respective workstation which all run exclusively on SSDs. Can’t recommend FreeNAS to anyone non-technical. It’s great, but requires a bit of tinkering a lot of times. Gig-E is nowhere near fast enough for modern video editing–Thunderbolt 3 is smoking fast (note, not USB-C, which doesn’t support networking.) 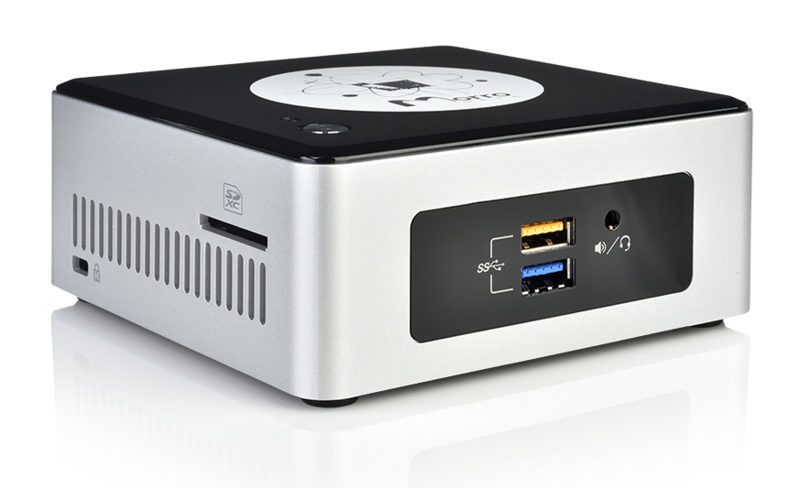 I built my own “NAS” using Thunderbolt 3 between my iMac (Thunderbolt 2) and a NUC running Linux and a ton of drives in dumb USB-3 enclosures. Faster than even 10G Ethernet!